Atkins diet books are great companions for your low carb lifestyle, whether you are just starting out or are an old pro at it. 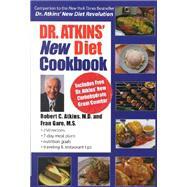 My first Dr. Atkins diet book is practically falling apart because I have used it so much, so I decided to check out the complete array of books available now. Wow – what a selection! 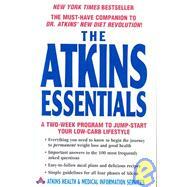 The Atkins Essentials: A Two Week Program to Jump-Start Your Low Carb Lifestyle – This Atkins Diet Guide skips a lot of the scientific underpinnings of Atkins and goes straight to practical advice for Atkins followers. 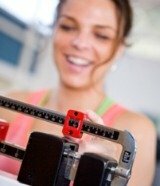 The information is easy to read and understand so if you’re new to a low carb diet you can start quickly and have success right away. It’s just as good for experienced Atkins folks, too, because it has some fresh ideas for how to stay low carb for the long term. 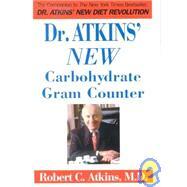 Dr. Atkins’ New Carbohydrate Gram Counter – Looking for a pocket guide to help you figure out the carbs, protein and fat in your food? The carbohydrate gram counter fits the bill perfectly. It is easy to carry, easy to use, and easy on the budget, so you can buy an extra copy to keep at the office, in your purse, or in the glove compartment of your car. Dr. Atkins’ New Diet Cookbook – This is the original low carb cookbook published in the early 1990’s as a companion to Dr. Atkins’ best selling book about his low carb diet program. It has a large number of classic low carb recipes and is should be a staple in the library of anyone who is living a low carb lifestyle. The Atkins Shopping Guide – One of the things that were the hardest for me was going to the grocery store and trying to figure out which foods were really low carb and which foods were not. It can be especially confusing even now, since so many food producers are advertising their products as low carb in some way. 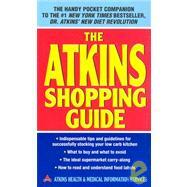 The Atkins Shopping Guide is easy to use and even take with you to the grocery store because it walks you through each aisle and provides important information about the foods typically stocked there. If you decide to go to the bookstore or search for Atkins diet books or books on Atkins diet menus online prepare yourself for a huge list of titles to look through. It’s a great way to spend an hour or two if you want a leisurely activity. Just make sure you choose materials that are easy to understand, contain practical advice, and fit your own personal needs for Atkins information and support.